I love Star Trek above all other franchises. But it’s a twisted, painful sort of love. A love that, with a new TV series on the way, may actually kill me. When it comes to many other things that I love, I feel like I have a healthy relationship with them. Star Wars, for example, has used up my outrage and now I happily pick and choose what I consider to be canon and what can be ignored. Disney can do whatever it wants with the old Expanded Universe, but I’m still going to pretend that the X-Wing pilots exist, and continue to be awesome. Similarly, I can deal with Chris Carter’s horrible vision of The X-Files, and continue to enjoy the rest. That is not how I approach Star Trek. Star Trek is, in Tumblr parlance, my “problematic fave.” I have massive issues with pretty much every iteration of the franchise, but I cannot distance myself from any part of it. And Star Trek gets every free pass I can give it. For every other movie, play, book, or television show, I insist that the story be good first. Not Star Trek. I let Star Trek be preachy and bad and I’ll defend the attempt. But with that all-in commitment comes a nerd rage at Star Trek’s failure, that nothing else matches. I need Star Trek to be good, to justify all the time and energy I’ve put into it. I need people to recognize how groundbreaking and brilliant this franchise can be—because to understand Star Trek is, to an uncomfortably large extent, to understand me. Star Trek was the first thing I ever watched that included people like me in its vision of the future. It was the first thing I ever experienced that articulated philosophy in a pop culture way. 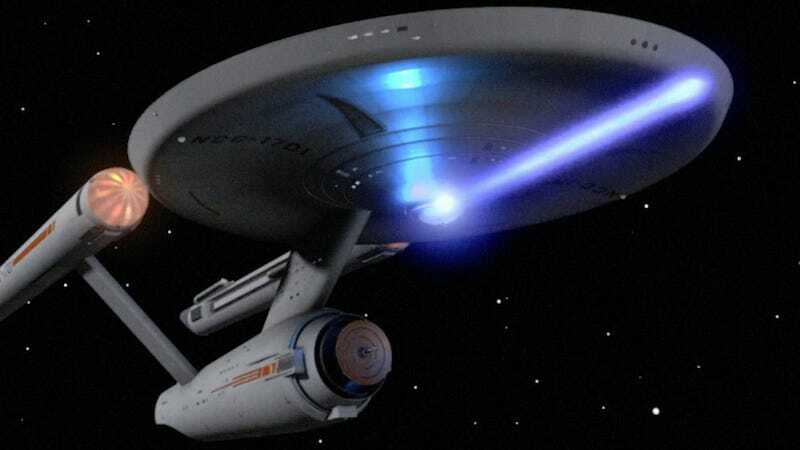 So, I love Star Trek in a deep, irrational, way. But a series of disappointments mean that I also approach any new Star Trek in much the same way my cats do me after I’ve been away for a long time. I’m going to follow it from room to room, meowing plaintively until it does something. But I’m also not going to sit in its lap and purr until it’s proved it’s not going away again. ...This metaphor got weird. But the point still stands. All of this brings me the the new Star Trek series. I am so afraid of this show. I am absolutely terrified that it cannot live up to my expectations. And I’m even more terrified it’s going to be successful, while failing to provide the thought-provoking storytelling that I expect from Star Trek. I would almost rather watch Star Trek fail while telling interesting allegories than succeed at being mindless pop fluff. If it’s just action adventure, but popular action adventure, that will be the final, crushing letdown. I have precedent for my feelings. I have Star Trek: Nemesis, which I was unreasonably excited for when I was in junior high. Finally another Star Trek movie! And an even-numbered one, that means its going to be good, right? Plus, Janeway had a cameo, I—also completely unreasonably, I know—love her. This should have been everything fourteen-year-old me dreamed of. Cue Sarah Mclachlan singing “I Will Remember You,” as I stare sadly into the camera, locked in a cage of my own disappointment. I also have Enterprise, which was so bad for so long, no amount of rehabilitation in later seasons can wash down the initial bad taste. I also have J.J. Abrams. I was fine with 2009's Star Trek, on the understanding that it was an introduction to a new timeline and a new set of adventures. It was fun enough, and popular enough, that we’d surely get something deeper and closer to “real” Trek in the next one, right? I was, in a way, both right and horribly, horribly wrong. So I am constantly in need of more Star Trek, but also positive it is going to break my heart. This new series has Bryan Fuller and Nicholas Meyer on board, which is everything I could ever want. So of course, it must be a horrible prank pulled on fans by the universe. There haven’t been unambiguously good Star Trek choices, pretty much ever. In the new show’s case, my bet’s on Alex Kurtzman’s influence, tainted by Into Darkness, causing me endless pain. I want Fuller’s Star Trek to be everything that Star Trek has been missing for years. I want it to look good, while also being innovative and interesting. I believe that, if anyone is capable of it, Fuller is. I also believe that if he succeeds, my heart won’t be able to take it and I will die of shock as the bedrock foundation of my world—Star Trek is the best and it always hurts me—cracks.